U.S. Drone Computers Said To Be Infected By Virus : The Two-Way The infected computers are at Nevada's Creech Air Force Base, where operators control military drones flying over Afghanistan and other areas. So far, at least, the virus has neither hindered remote control of the drones nor funneled classified information elsewhere. 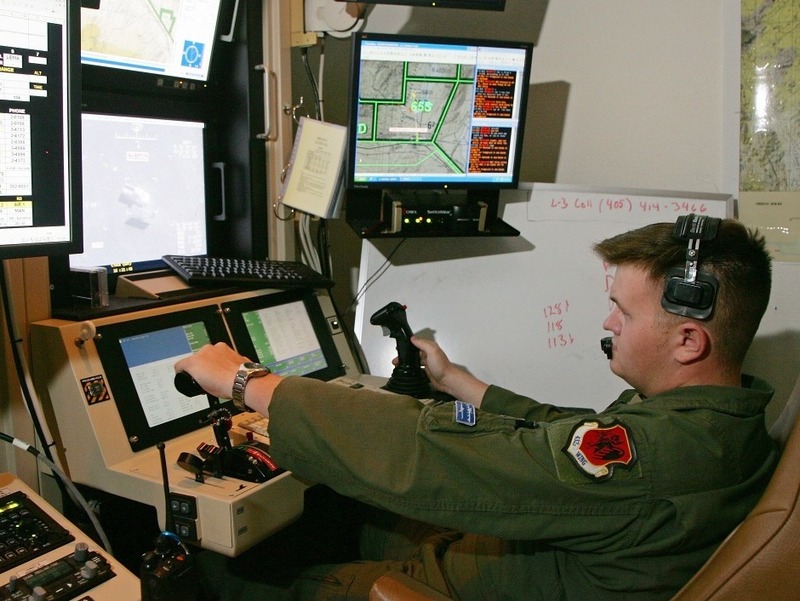 Let's say you have people using computers to control unmanned aircraft that are useful for both gathering information and destroying targets on other continents. If you had a choice, those would probably not be the computers you'd like to see infected by a virus — but that's what has happened to some U.S. systems that control Predator and Reaper drones, according to Wired's Danger Room blog. According to Noah Schactman of Wired, three different people have confirmed the presence of the virus. The infected computers are at Nevada's Creech Air Force Base, where operators control dozens of military drones flying over Afghanistan and other areas. And so far, at least, the virus has neither hindered remote control of the drones nor funneled classified information elsewhere. But the virus, which seems to have been designed to log keystrokes, has also proven very difficult to eradicate. "We keep wiping it off, and it keeps coming back," one of Schactman's sources says. "We think it's benign. But we just don't know." The revelation that some of the world's most sophisticated and lethal unmanned machines could be vulnerable to something as basic as a keylogging virus can only cause concern — especially considering Mark's recent report on drones possibly being used for "automated killing" in the future.